Hoorayyyy!! The Big Night is here! Time for everything to come together and for the artist to kick back and enjoy folks enjoying all their hard work. Time to celebrate!! I am so thrilled to share with you the conclusion of my four part video series 'Putting on an Art Show on an Budget' with my fabulous opening night vid!!! My opening was a huge success - lots of familiar faces and even more new faces - which is exactly what you want! If you'd like to see more pics from the night, check out this post from a few weeks ago. The opening was a fantastic whirlwind..... hooray! Alrighty as the big day gets closer and closer there are a number of things that need to be done to prepare the gallery for opening night. Each space and exhibition is a new experience so you may do things a bit differently than I do in this vid, but I cover the major steps that should be done to prep pretty much any space. And don't forget, there are always some last minute hiccups to attend to, so make sure to give yourself some extra time. I'll walk you through fixing up the gallery, hanging your artwork, and all the necessary signage you'll need to create for your show. Yay!! Bursting with excitement for the big opening!! Aloha and Welcome to Part Two of my video series on 'Putting on an Art Show on a Budget'! Today I am showing you how easy and inexpensive it is to frame your paintings using slat boards found in the lumber department of your local home improvement store. Now for this video you will see me using my super kickass miter saw and electric sander. You don't have to use either of these to make frames; a steady hand with a hacksaw will work along with a lil extra elbow grease for sanding. However if you are interested in playing with power tools ('cause who isn't?! ), I'm sure you can score some for less than you think. I bought my miter saw, blade included, on Craigslist for $75 and the sander from Ebay for $40, which to me are small investments considering you could easily spend $150 getting just one painting professionally framed. As far as the other materials go, the slat boards are between $1.50 - $3 depending on length and the spackle, black paint, 2" paint brush, wood glue, tack nails, painters tape and fine grit sandpaper can be purchased for around $50. All in all (not including the power tools which I already owned) I spent about $110 to frame 12 paintings which is like HELL YEAH!!!! So tune in to see it all come together in the most delightful way (as Mary Poppins would say)!! Let me know how your framing went! I chose to use black paint for mine, but I recently saw another artist use this method without the spackle and using a wood stain instead. The possibilities are endless:) Tune in next week for my video about setting up and proper signage for your art show. Yaay! Huge Success at My Solo Art Show!! HOOORAYYYY!!! I can't believe how many people showed up on opening night!! I had a lot of familiar faces as well as so many new eyes on my work so it was perfect!! I'm sure you noticed my promised vid did not come out on this past Wednesday and I'm so sorry... who would have thought that framing 12 works while filming and editing the process in the same week as repainting the gallery wall (yep, I did that too :D ), hanging work, creating signage, shopping for and preparing loads of snacks and arranging a musician, while I worked my barista and surfboard painting jobs of course, might have been a bit of an overloaded schedule? Gosh, when I write it all out I can't believe last week even happened! Ha! So check out these fun shots from the show and I promise I'll have my 'How to Frame Paintings on a Budget' vid out for your enjoyment this Wednesday. Mahalo and big love to everyone who made it out!! Okee dokee artsy friends, here is Part One of my series Putting on an Art Show on a Budget :: How to create a great flyer. This is so super duper essential for inviting people. You absolutely positively must have something to hand folks as you promote your show. If you try to just tell people to remember or give them your website card to look it up you will wind up with one empty art opening. But have no fear, you too can create a super stylish yet simple flyer using this easy free program Canva just like me. Yay! Let me walk you through all the steps to make a noteworthy flyer for your successful event! Solo Show in 2 Weeks!! Aaah!! Wow! That happened fast!! I'm thrilled to announce that I will be having a solo show of my Bohemian Goddesses on Friday March 2nd at an art and music space called Ong King here in Honolulu. Yaaay!! So enjoy the series! I'm looking forward to continuing to make it! 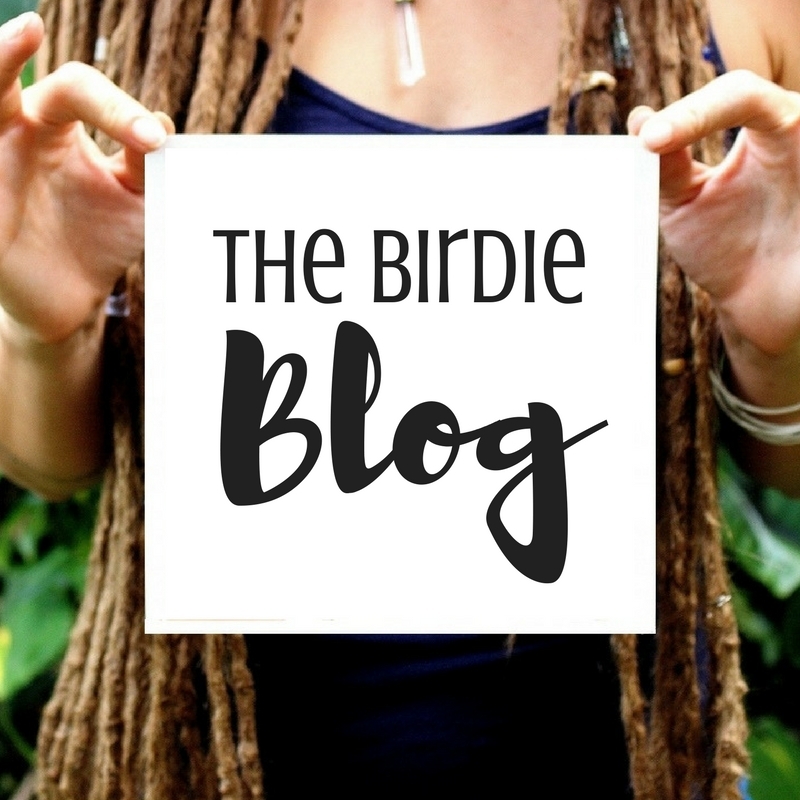 Also, if your curious about some of the struggles of finding an exciting contemporary art venue here in Honolulu, sign up for my monthly Birds of a Feather letter here where I talk a bit more openly and honestly about taking the good with the bad when it comes to being a working artist. Anyhoo, please allow me to save you from all that unpleasantness by sharing with you how I packed up four glass framed drawings this week using all upcycled packaging materials - yay - upcycled, my favorite!! I'm so thrilled to have more works going to my friend Ben Seller's art gallery, Willis & Sellers Gallery, in Tryon, NC. 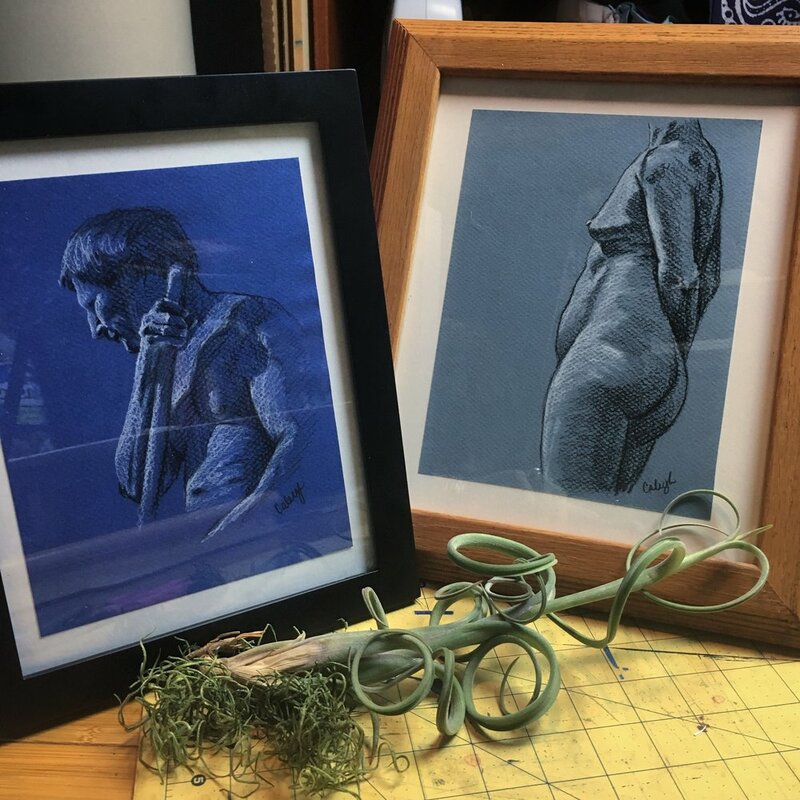 I had a few Goddess portraits hanging there last year and now I'm hoping to find some new homes for these life drawings in their lovely new frames (charcoal and white chalk on toned paper).